Saturday 31st December was the final day that non DDA compliant buses were allowed to be used on stage carriage services. 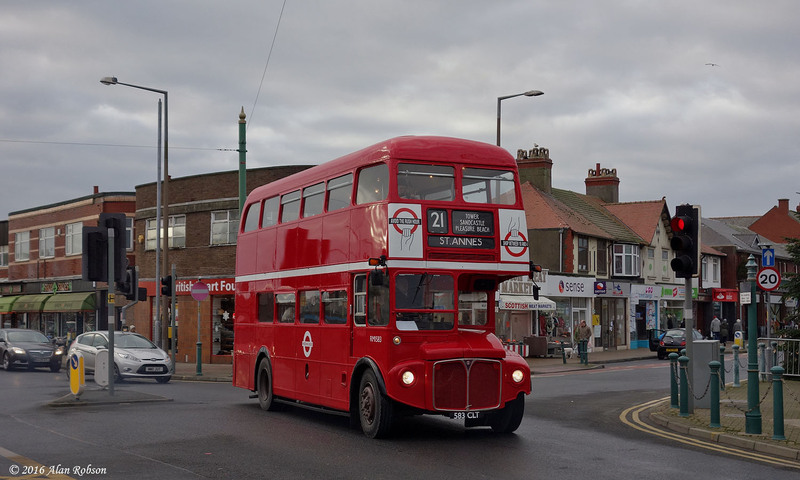 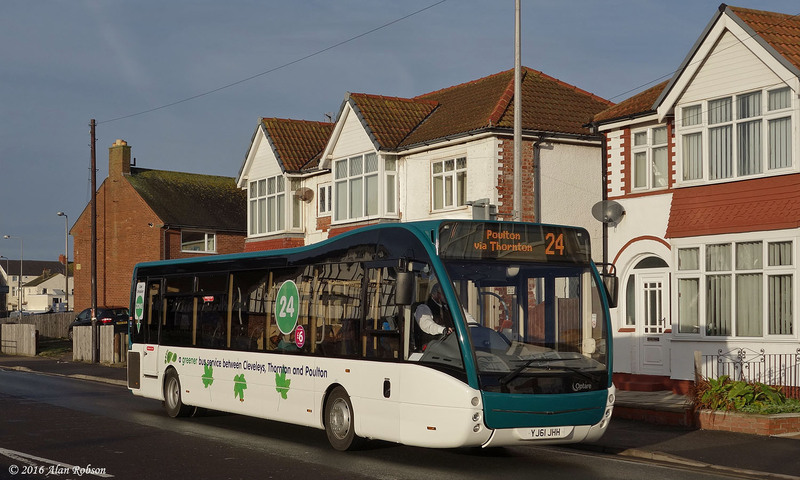 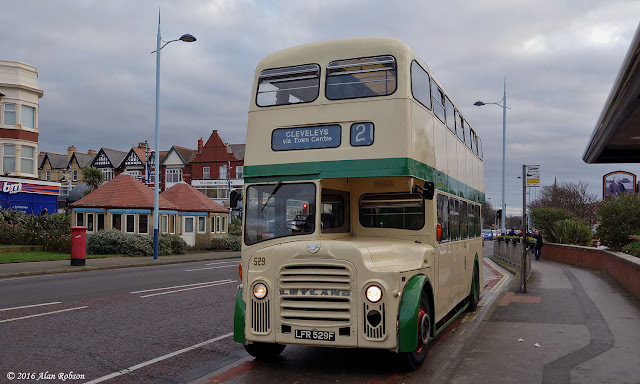 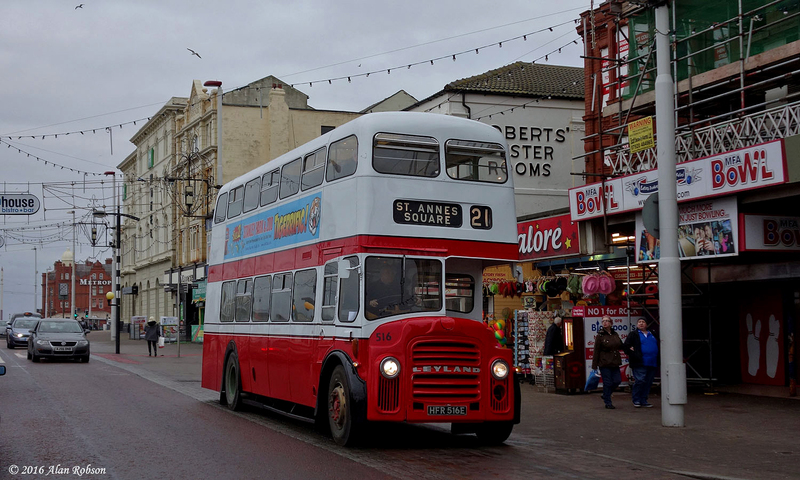 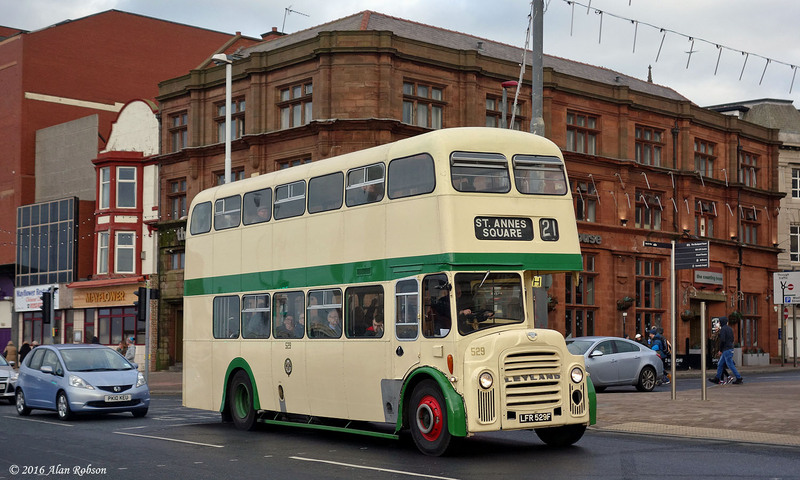 To commemorate this historic and sad occasion, Catch22Bus operated a fully step entrance heritage bus service on their Coastliner 21 route, that runs between between Cleveleys and St Annes. 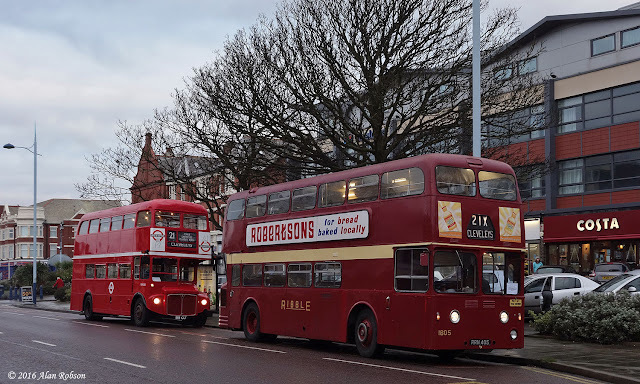 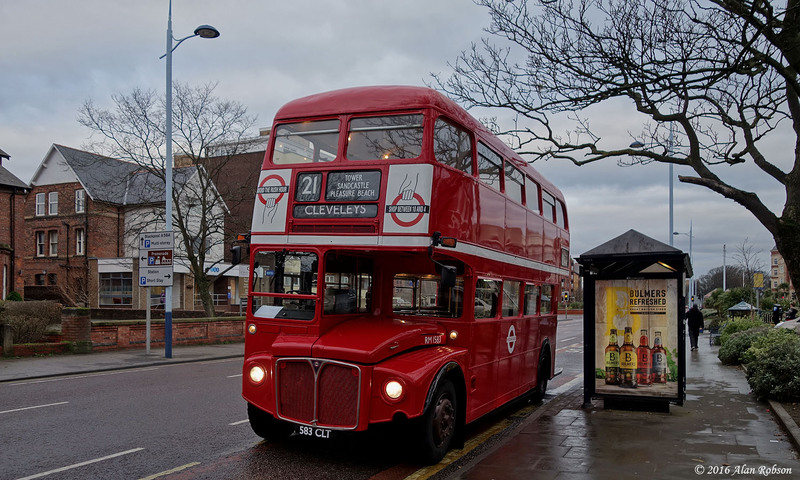 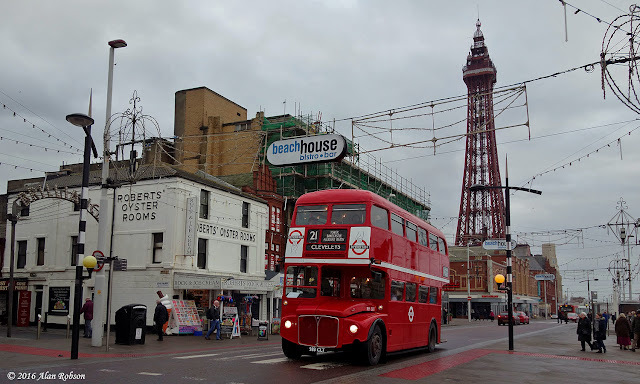 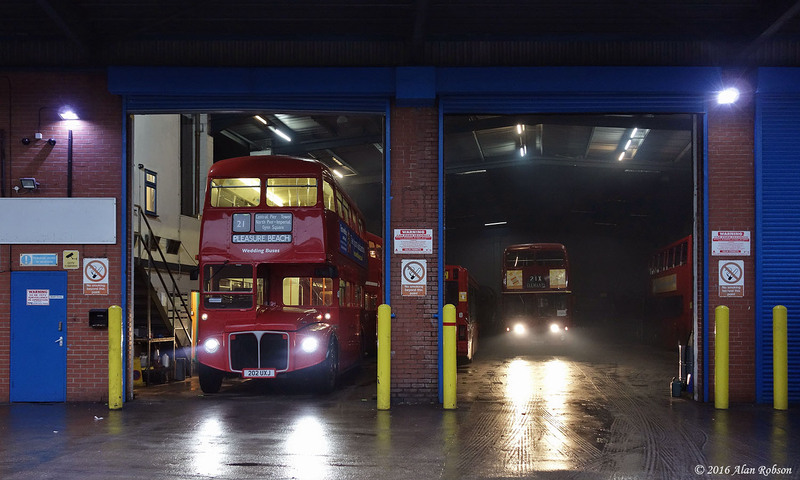 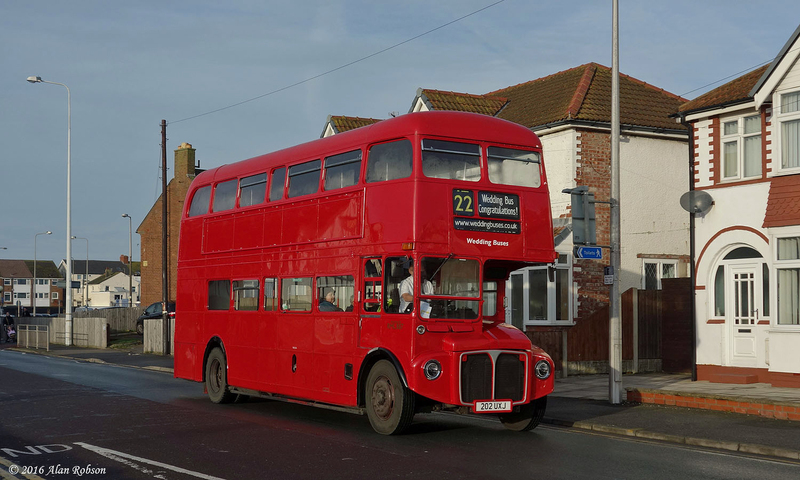 The vehicles rostered for use on the day were former London Routemasters RML887 and RM1583 (recently repainted out of its Blackpool livery into London red), ex Blackpool PD3 516 and ex Ribble Bristol VR 1997. 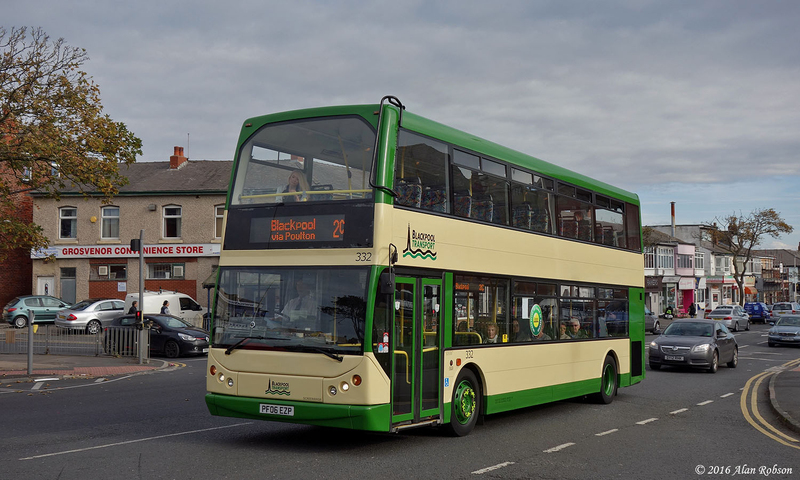 During the morning the Lancastrian Transport Trust ran their former Ribble Atlantean 1805 as an extra on the route, providing free trips for passengers. After a crew break PD3 516 was swapped for former Blackpool PD3 529, to add even more variety to the service. 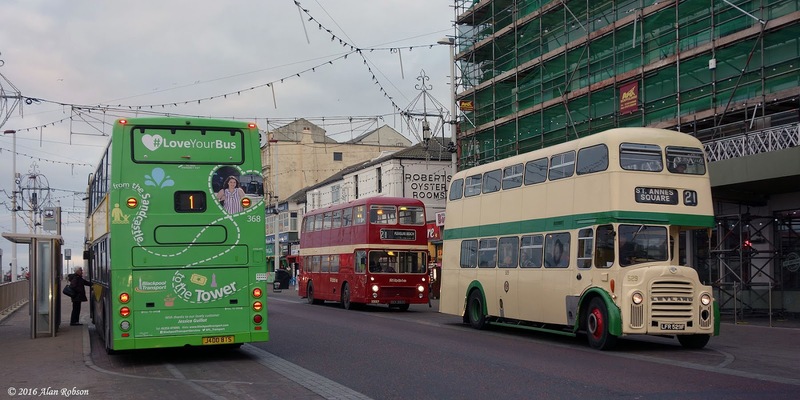 As all these buses will now no longer be permitted to run in passenger service, in future they will be limited to private hires and other occasional outings. 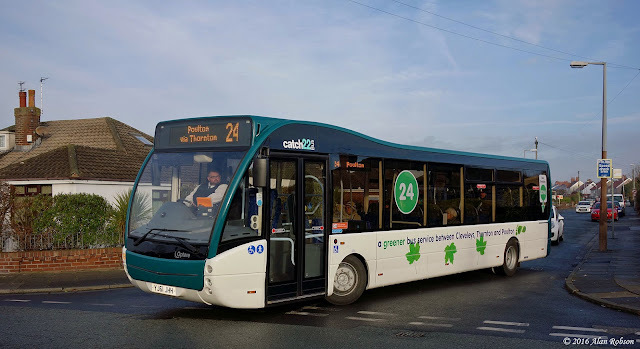 The first Optare Versa, of a recently acquired batch of three, entered passenger service with Catch22Bus Ltd this morning. 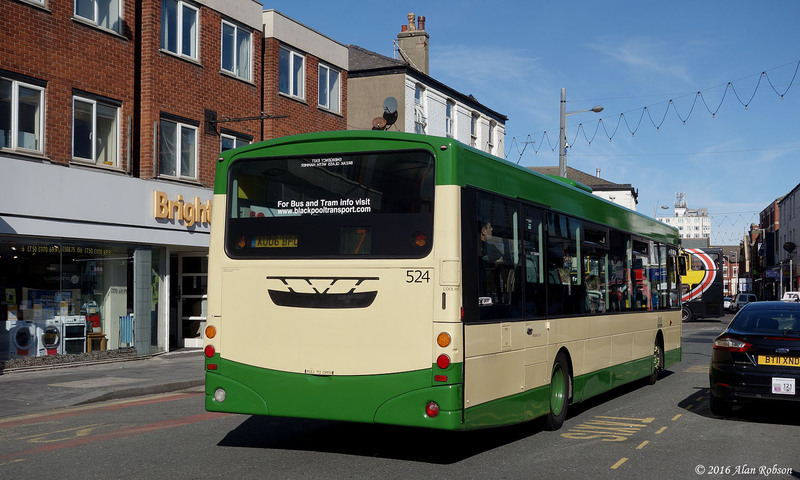 YJ61JHH is one of three Versas that had previously been on a five year lease to APH (Airport Parking & Hotels), the vehicle made its debut on service 24 between Cleveleys and Poulton. With the days of step entrance buses in passenger service drawing to a close, Catch22Bus Ltd used one of their Routemasters on a special excursion to Manchester on 17th December. 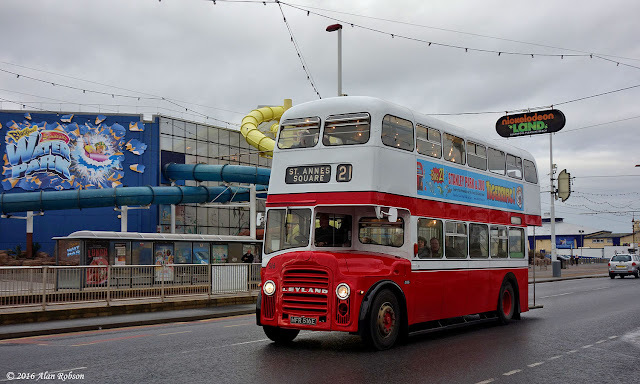 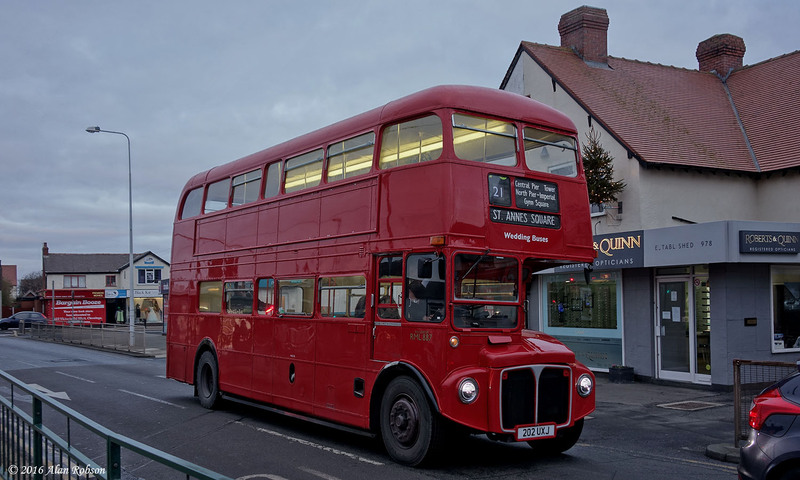 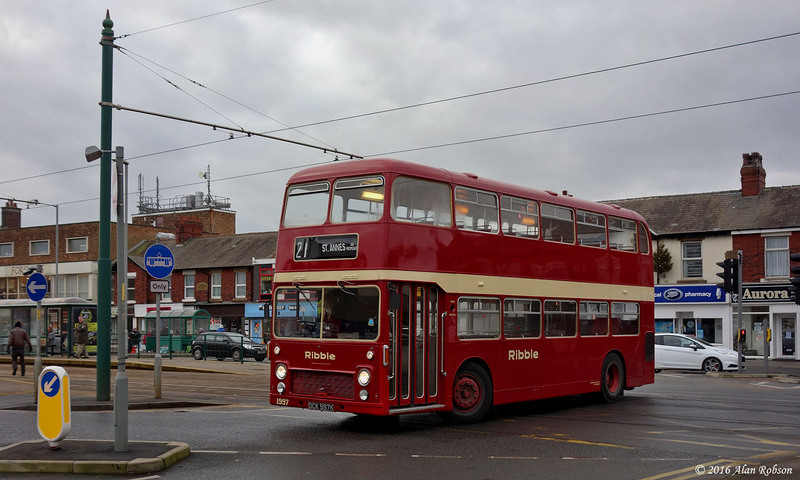 RML887 operated a shoppers special to the Manchester Christmas Markets, departing from Cleveleys Bus Station at 10:15 before picking up in Blackpool at 10:30. 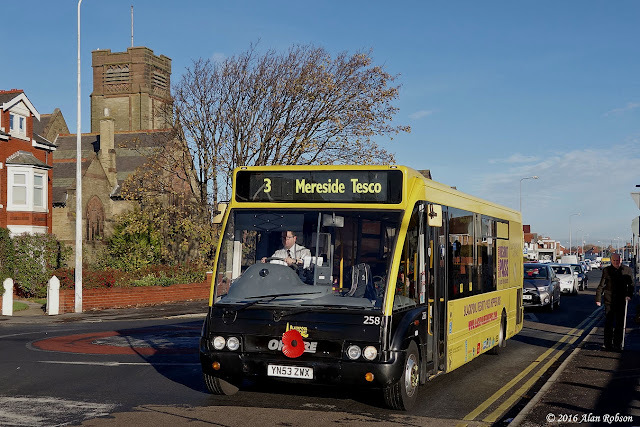 The service gave passengers the opportunity to spend a day Christmas shopping in Manchester, before returning to the Fylde Coast early on Saturday evening. 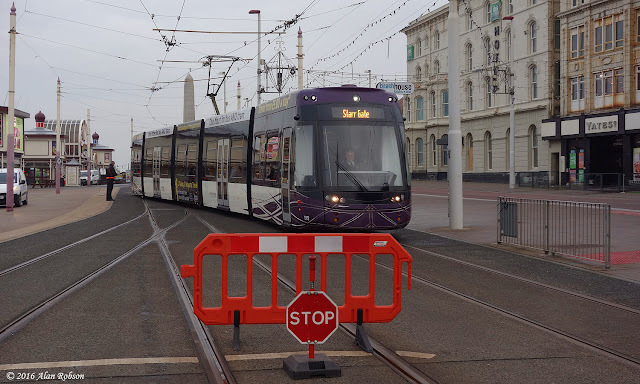 Further to the line closure that took place ten days previously, the southbound tram track between the Cabin and North Pier was closed again on December 15th from 10:00 until 15:00. 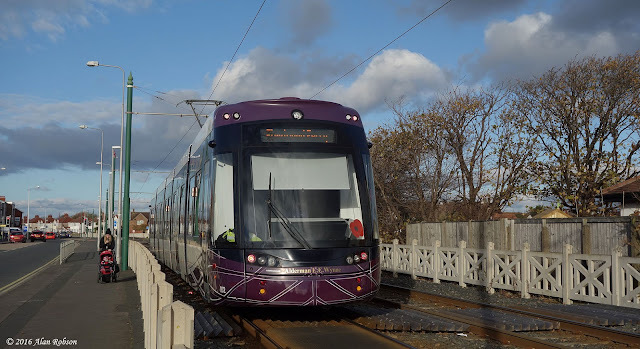 Single line working was again in operation for the duration of the closure, using the northbound track only. Passengers wishing to travel south from the Cliffs, Gynn Square, Wilton Parade or Pleasant Street had to board the Flexity trams using the northbound platforms. The cause of the service disruption was further rail welding adjacent to the Metropole Hotel, at the same location as the work that had been undertaken on 5th December. 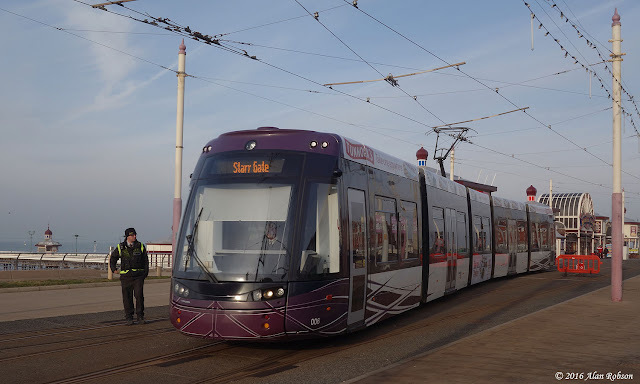 The enormous success of the first crowdfunding initiative for a Blackpool tram in exceeding the £1,500 target, for transporting Balloon 703 home from Beamish, in less than 24 hours is to be applauded. 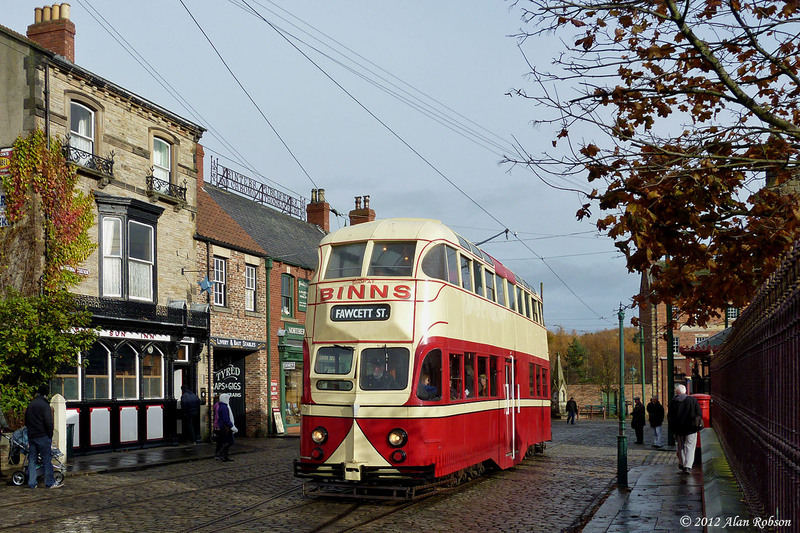 Due to future development plans at Beamish, Brush Car 621 and Balloon 703 no longer fitted in with the long term aims of the museum, and it was agreed to release both trams from their collection. 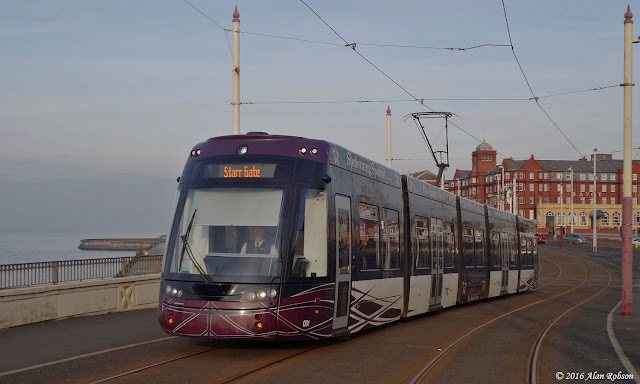 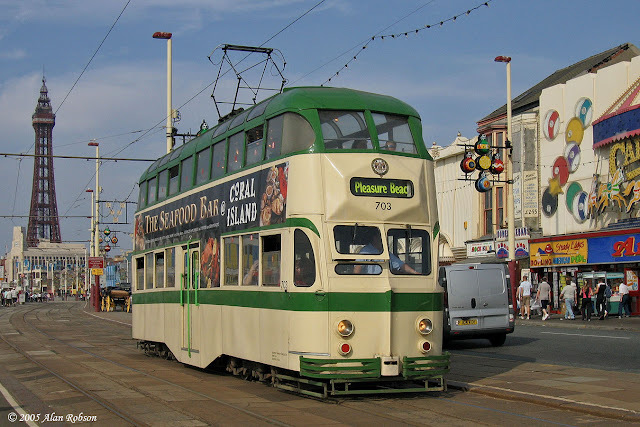 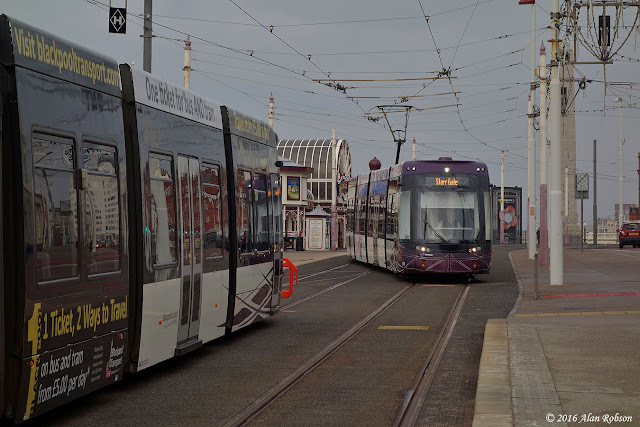 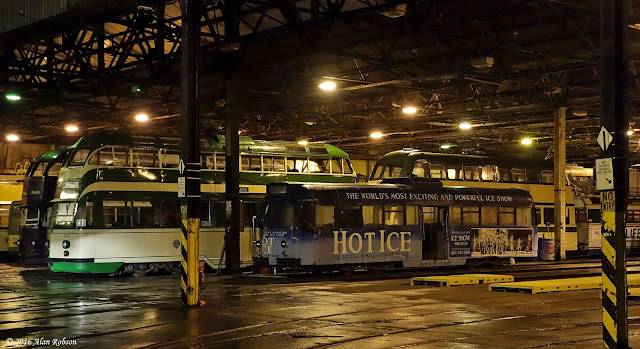 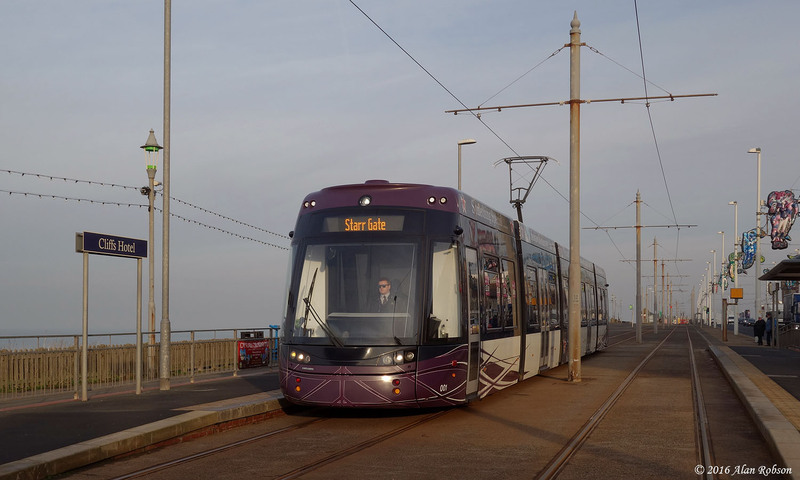 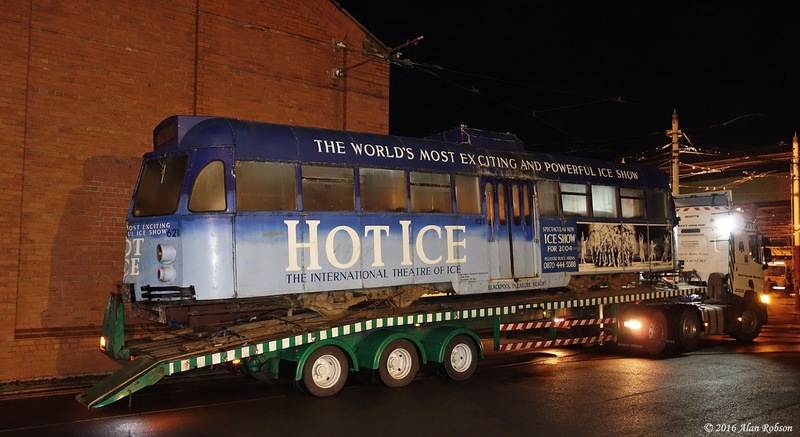 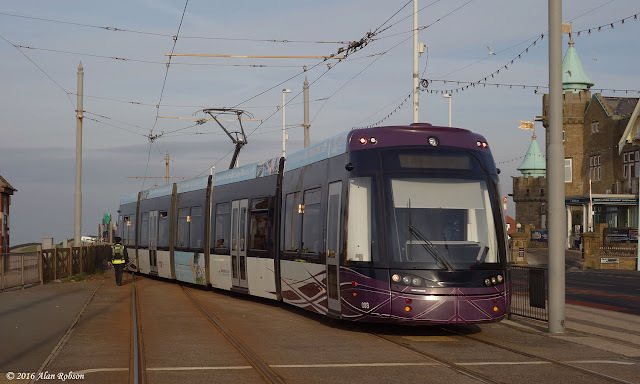 Thanks to the rapid response to the appeal, it will now be possible to fund the transport of 703 back to Blackpool, and hopefully in the not too distant future the tram can be made available for use in the active heritage fleet. 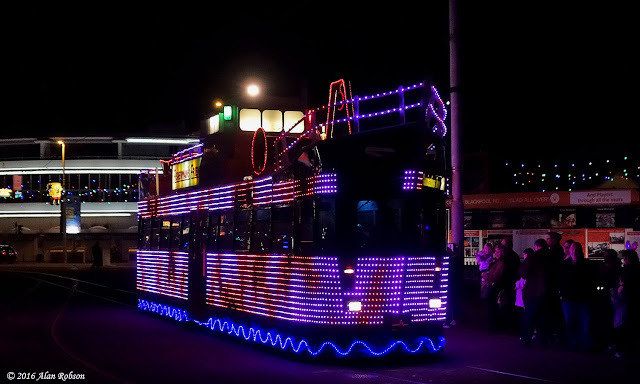 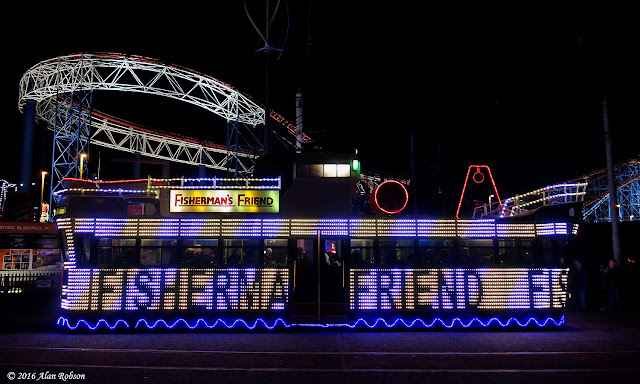 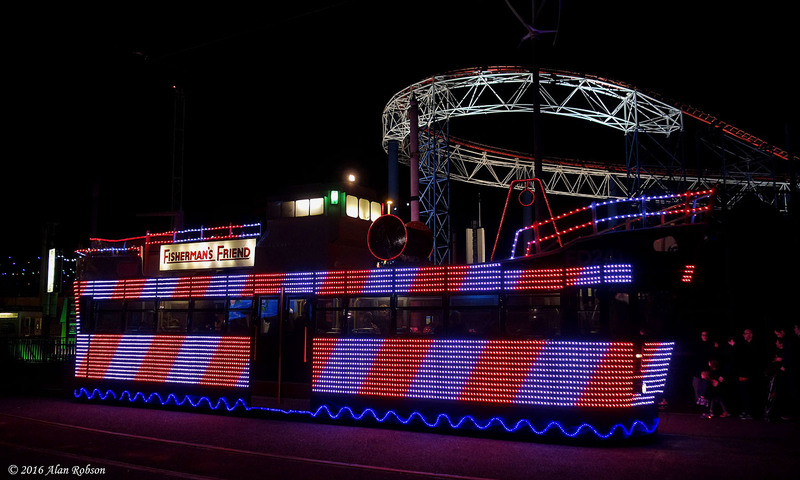 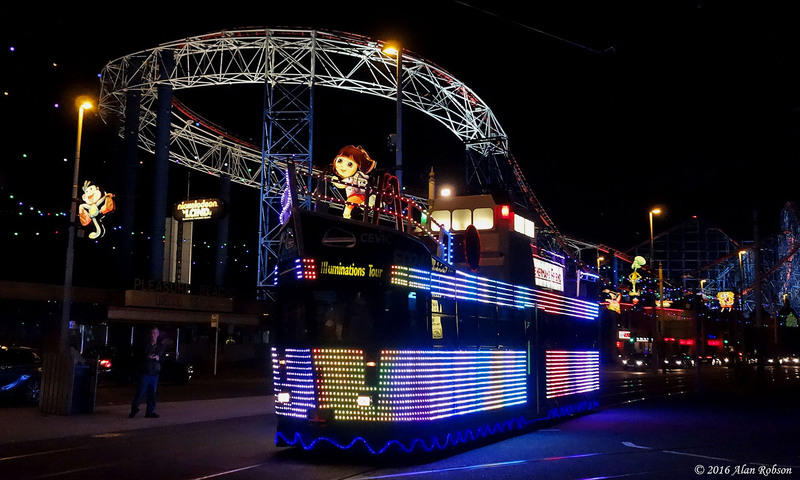 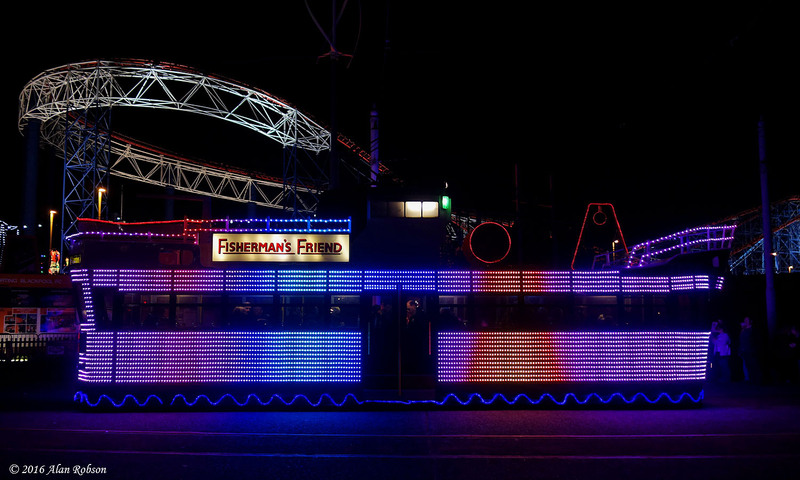 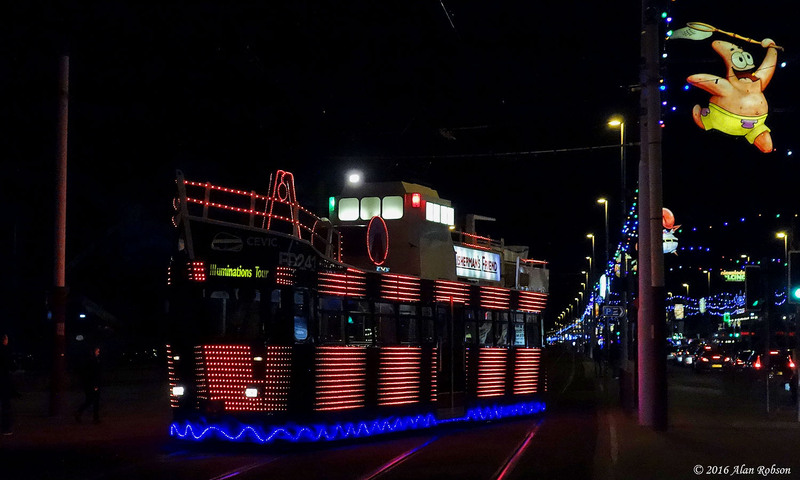 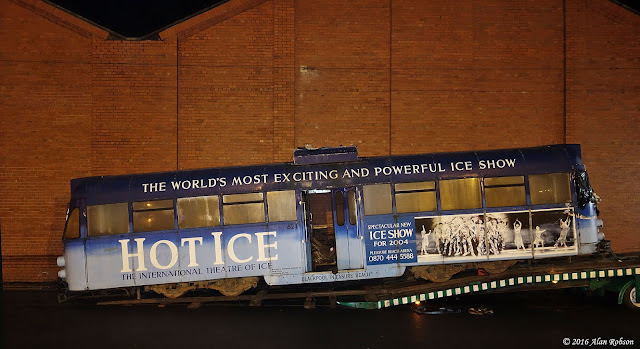 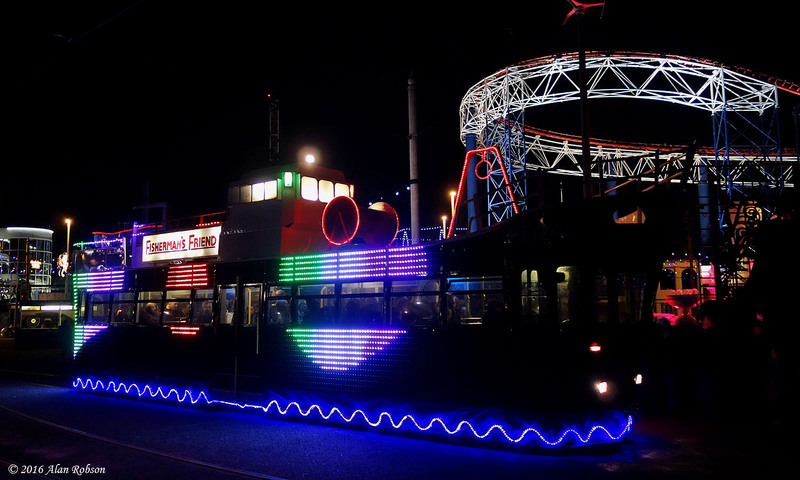 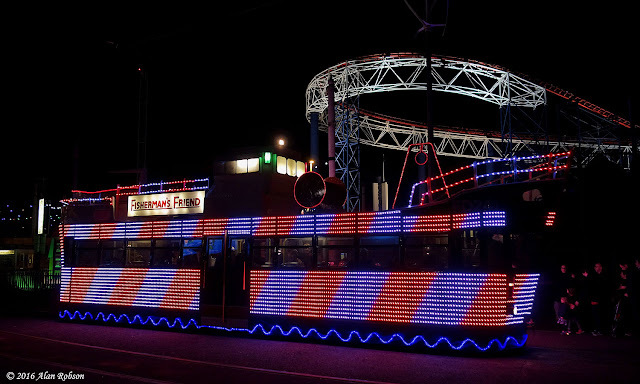 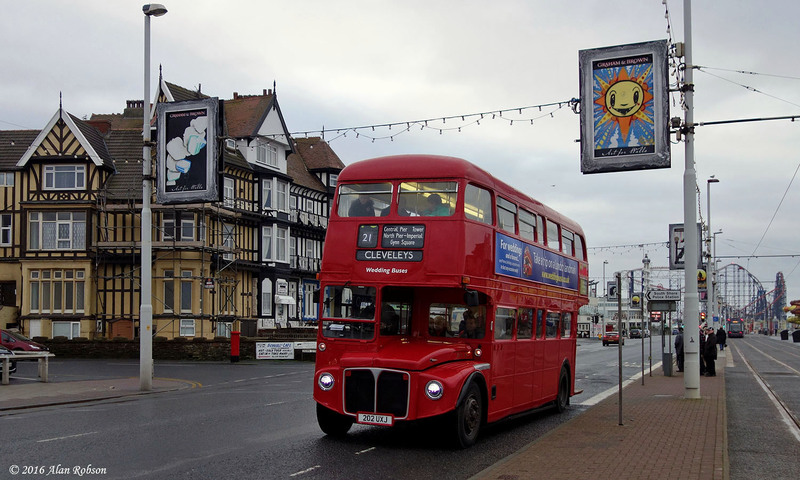 On the evening of 8th December Brush Car 621 returned to Blackpool after being away from the resort for 5 years. 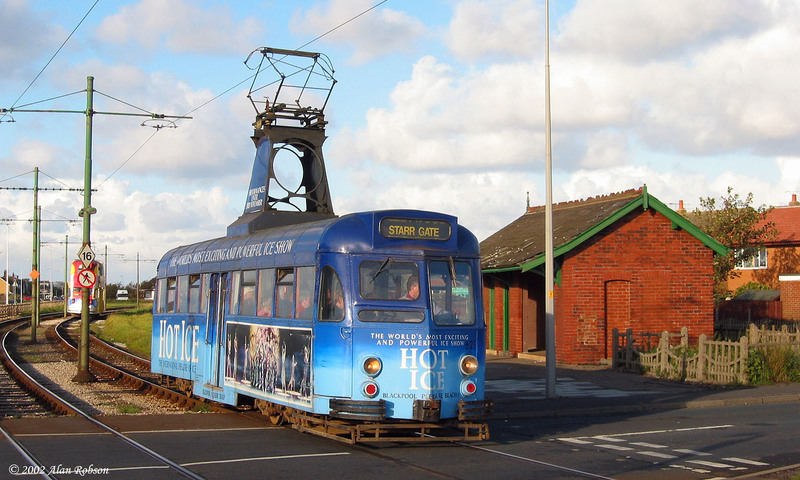 621 has spent the last two years in storage at Beamish, where there had been plans to restore it for use on their museum tramway, prior to that the tram had been stored at Kirkham Prison for three years as part of the Fleetwood Heritage Leisure Trust collection. Due to a change of priorities in the transport collection at Beamish, it was decided that Brush Car 621 could be released for return to Blackpool where it would become part of the Heritage Tram Tour fleet. 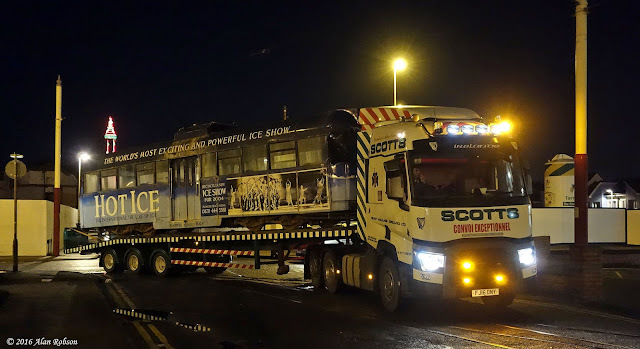 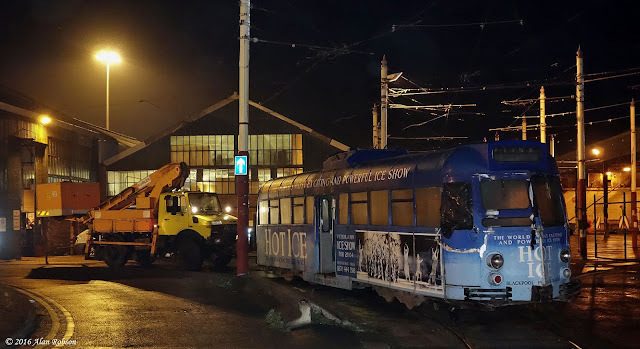 The Brush Car was transported to Blackpool by Scotts Heavy Haulage, where is was unloaded and shunted into the safety of the tram depot by Unimog 939. 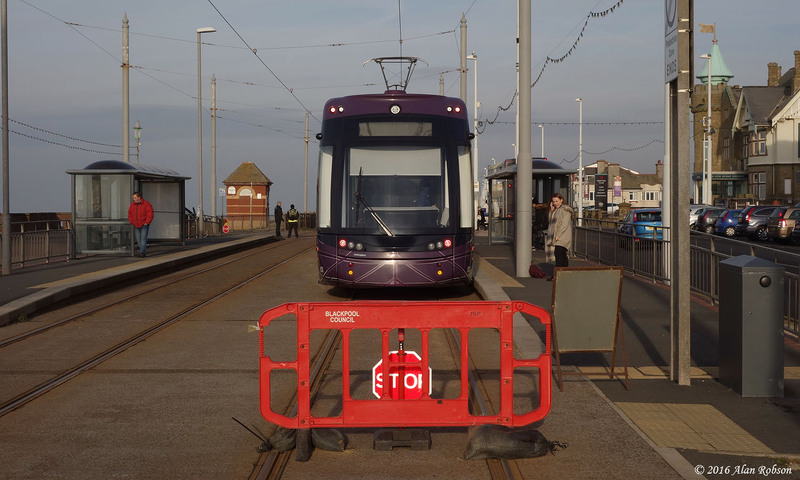 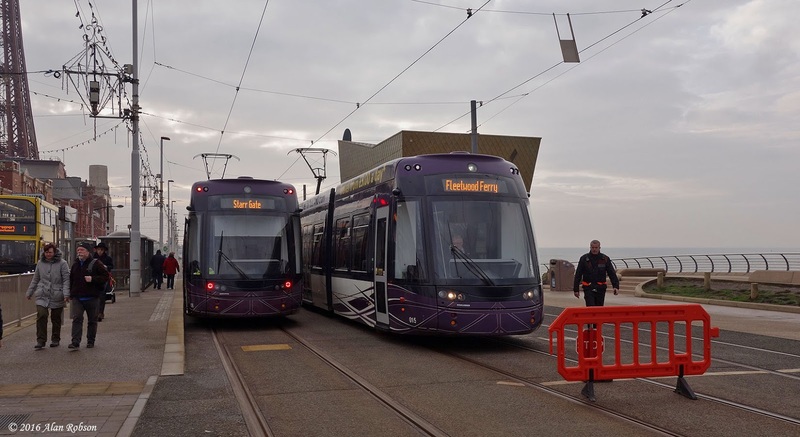 On Monday 5th December the southbound tram track between the Cabin and North Pier was closed for four hours due to planned track work taking place. 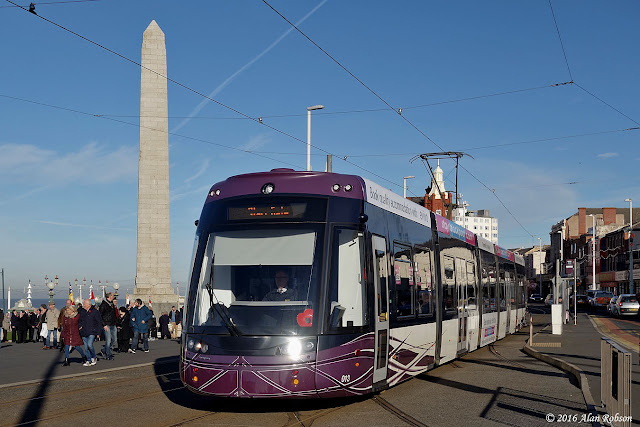 Between 09:00 and 13:00 single line working was in operation over the closed section of the tramway using the northbound line only. 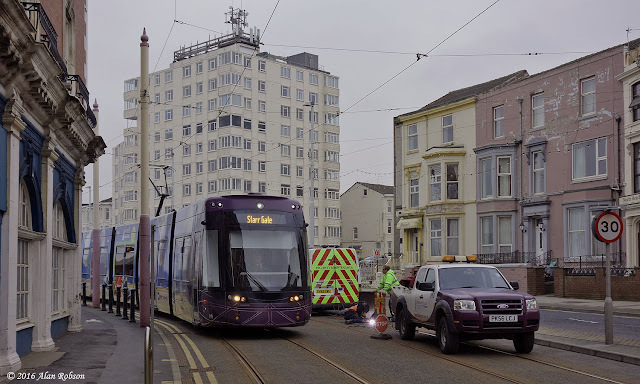 This meant that passengers wishing to travel south from Cliffs, Gynn Square, Wilton Parade or Pleasant Street had to board the trams using the northbound platforms. 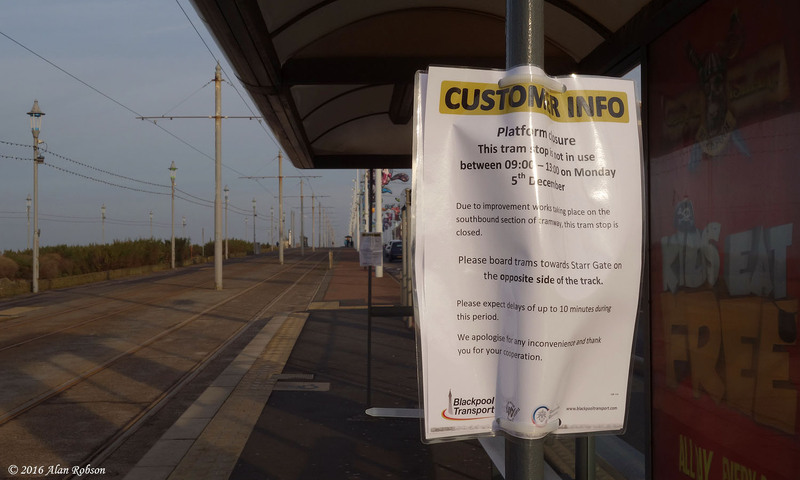 The track work that caused this disruption was a repair to the surface of the rail on the southbound line at the curve adjacent to the northern end of the Metropole Hotel. 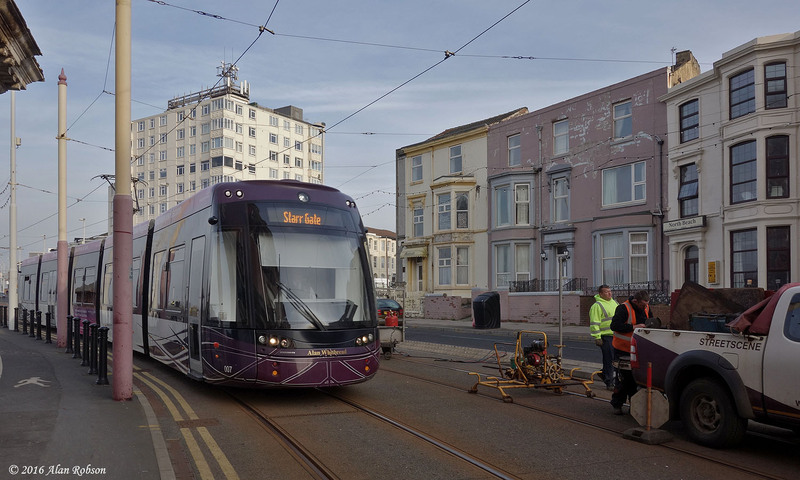 The single line working played havoc with the timetable, with northbound trams noted heading for Little Bispham and Thornton Gate in order to try and recover the service. 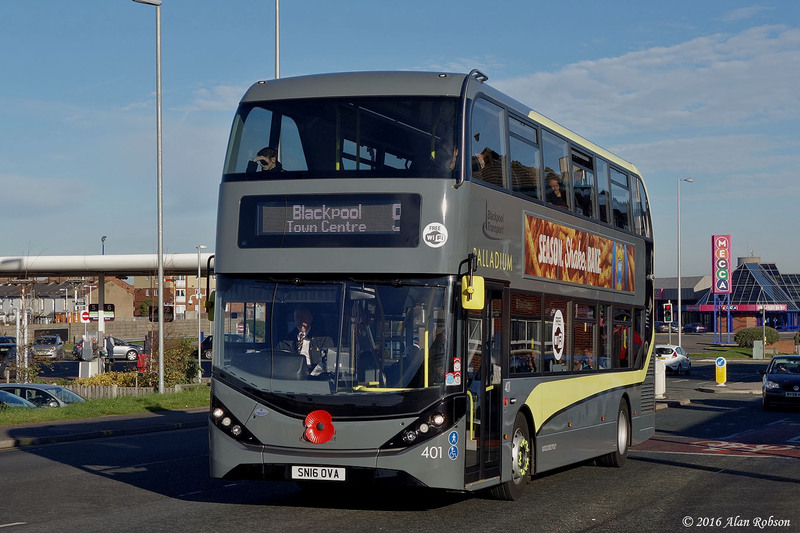 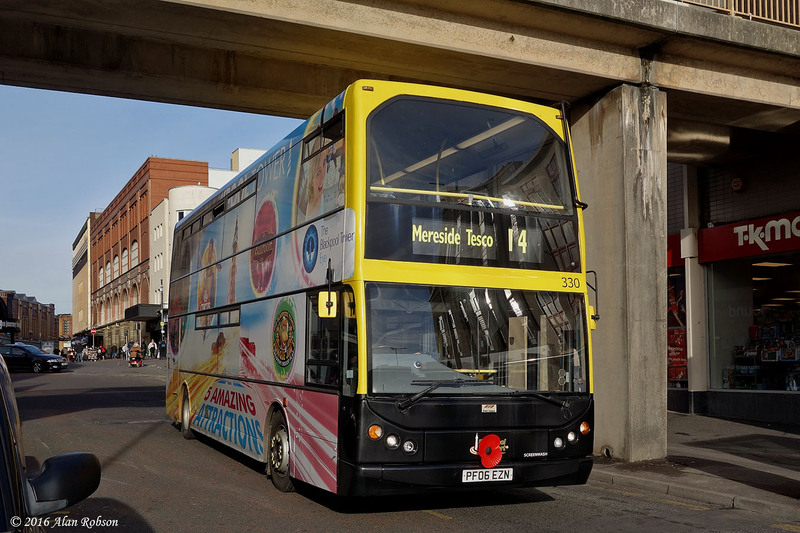 Blackpool Transport played their part this year in remembering the fallen members of our armed forces by displaying large poppies on the front of many of its trams and buses. 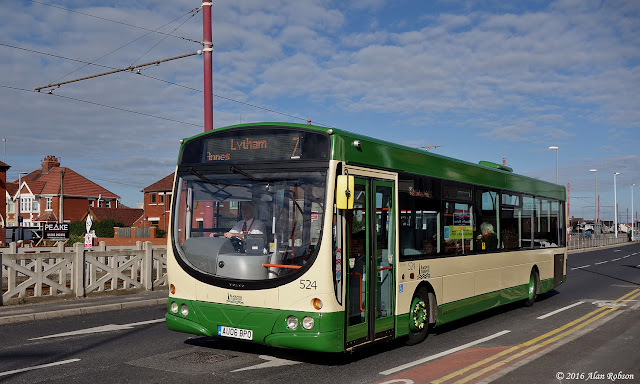 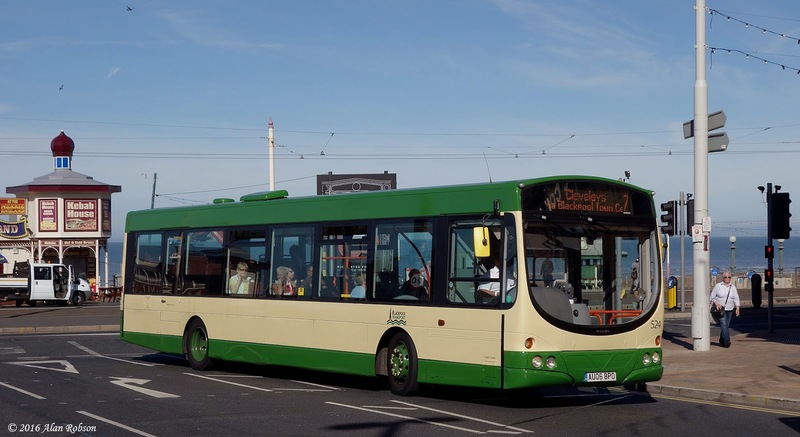 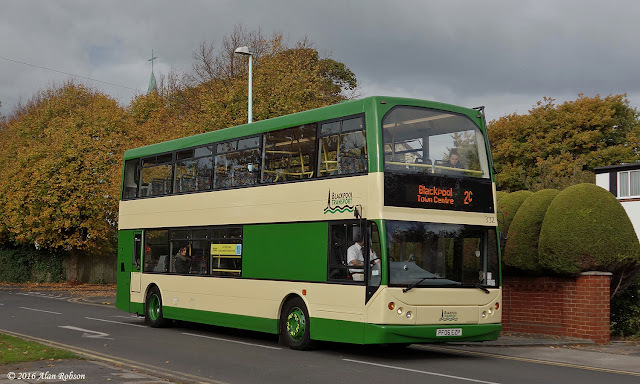 Volvo B7RLE 524 was repainted in September into a 1990s style green and cream heritage livery to celebrate 30 years of Blackpool Transport Services. 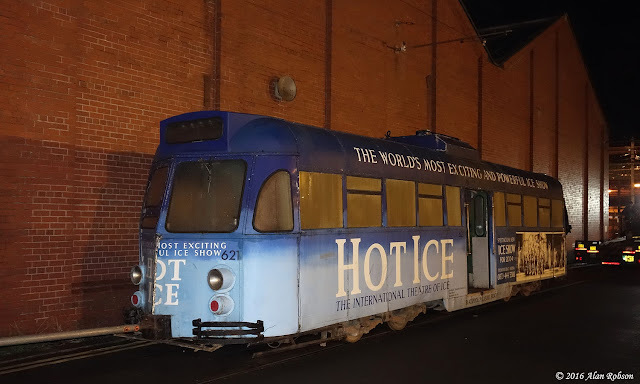 Here are a few sunny shots of the vehicle taken since it entered service. 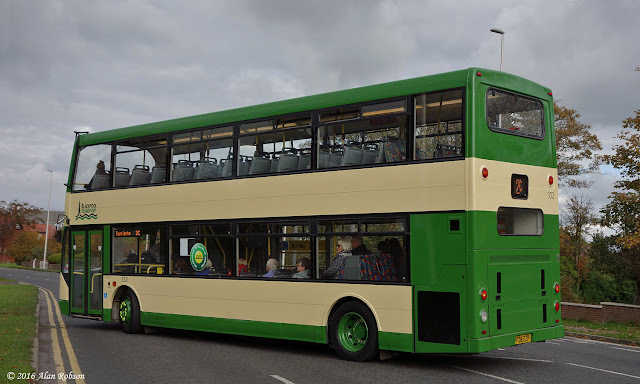 Further to the repainting last month of Volvo 524 in a heritage green and cream livery, Dennis Trident 332 has also now been treated to the Blackpool Transport Services 30th Anniversary colour scheme, and very smart it looks too. 332 entered passenger service on Saturday 22nd October in its new livery, working on route 2C between Blackpool and Knott End. Refurbished Trawler 737 has finally entered service on Illumination Tours, two weeks before the Illuminations are due to finish. With the teething problems hopefully out of the way, 737 made its return to passenger service by operating the 7pm tour from the Pleasure Beach on 21st October.